More premises across South Lanarkshire can now upgrade to faster fibre broadband through the £428 million Digital Scotland Superfast Broadband rollout. Thanks to the programme, more than 890,000 premises are able to connect to the new network, which has now reached more properties in places like Rutherglen, Cambuslang, Hamilton, Thorntonhall and Lesmahagow. 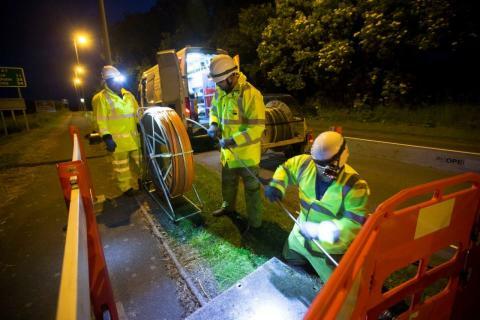 Councillor John Anderson, Chair of South Lanarkshire Council’s Community and Enterprise Resources Committee, said: “I am delighted that more areas across South Lanarkshire can now access fibre broadband thanks to the programme and more people are now able to get a superfast speed. "Whether you are downloading a box set, a small business making transactions or just keeping in touch with friends, fibre broadband can make it all happen easily."